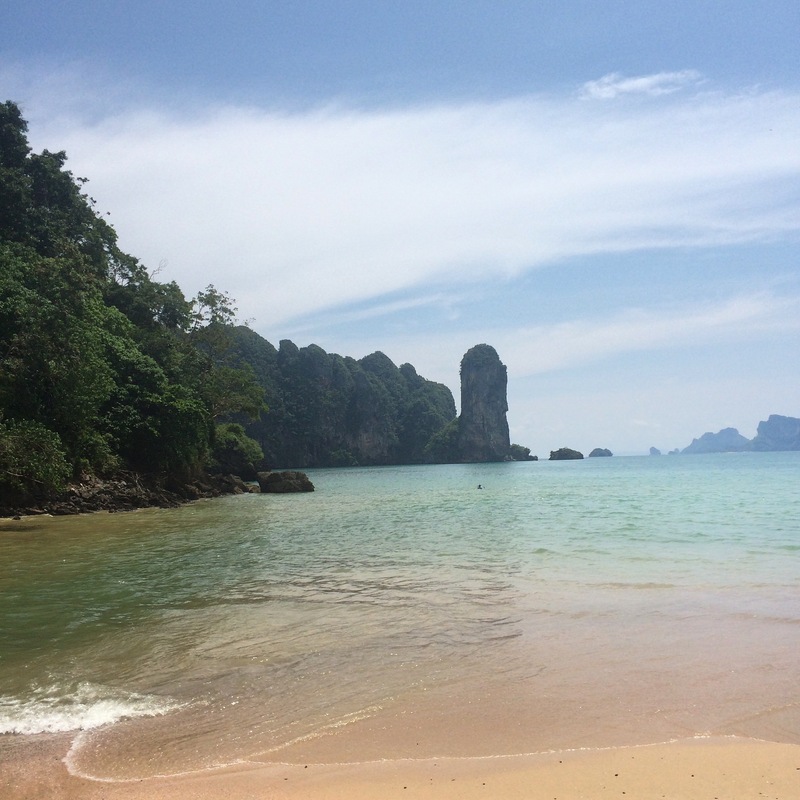 The Solo Travel Series: Thailand (Ao Nang, part 1). I’ve been in Ao Nang for over a week now so I thought it was about time to write this post. The past week has been filled with a mix of emotions; excitement, anxiety, sadness, homesickness, happiness and a general feeling of being a little bit lost. It was quite a tough week, but towards the end of it I definitely saw the beauty of my situation and I’m learning to truly appreciate it. So let’s start at the beginning. I flew from Bangkok to Krabi last Saturday afternoon, and from there took the local bus to Ao Nang (the beachside town of Krabi). I had arranged to meet my Workwaway host there and it all went smoothly. She was very sweet and the first thing she did was take to the the grocery store to do some food shopping (she knows the way to my heart!). Once we arrived at my new home for the next few weeks though, my anxiety started to kick in. It wasn’t exactly what I was expecting. It wasn’t very close to the beach at all, it was situated along a dark long alley, and the bike I had been promised to explore the town was broken. All in all, I felt a little bit trapped and let down. Looking back at it now, I think a big part of it was just culture shock. Going from my comfortable life in Singapore to a very simple life, with a cold shower, squat toilet and lots of insects, was a bit of a shock to the system. I’ve always thrived to live a simple life, and so to be honest, I was annoyed at myself for being so unhappy with it. At that moment, all I wanted to do was get on the first flight back home. Fast forward a few days to now, and I’m much happier. I’m helping out at a local bilingual kindergarten during the week, which is very interesting but draining work. The people I work with at the kindergarten have been really sweet and helpfull; sharing with me some tips about the area and taking me to the local market (which has lots and lots of cheap delicious fruit, it’s amazing!). This past weekend I spent on the beach and exploring Ao Nang; the real reason why I came here. I appreciate this experience much more now, and the last week I have reflected a lot on my past and future. The vegan me has been very happy this past week. I’ve been eating really simply; mainly just lots of fruit. Eating tropical fruit in abundance has made me feel great each day, and I now understand why some vegans see Thailand as vegan paradise! To finish off I should tell you that there has been a change of plans. I was originally meant to be at the school for six weeks, but I’ve changed my mind. As interesting as the work is, the location and lack of transport makes me feel a bit isolated, so I’ve decided to stay for only two weeks. This scares me a lot. I’m someone that likes to plan. Before going on any trip I pretty much have all accommodation and transport booked, because it gives me peace of mind. So going from that to not knowing where I’m going to be in a weeks time is a big change for me. But I’m viewing it as a learning experience, a way to teach myself to let go a little and go with the flow. All I know is that I’ll be in Thailand for another six weeks, so let’s see what happens! My Deep Thoughts When Flying.